There are marketing agencies that call themselves brands! They wear their pride on their sleeves. And then there are others that take pride in making their clients grow into big brands. A&A Marcom Agency (AAMA) belongs to the latter. We shine of reflected glory. That of our clients. Because our story is one written by our client. And since our clients are many, so are our STORIES. If you are reading this for the first time and plan to hire our services, our story will begin with you. The first day we get together towards creating your brand, this would be the first paragraph, first page, first chapter of our story. Working with us is like taking a chance; like tossing up a coin. The outcome: Either you win or you win! We being part of the most revered name in the SME Consulting space, A&A Business Consulting, are taking advantage of the goodwill that it offers. 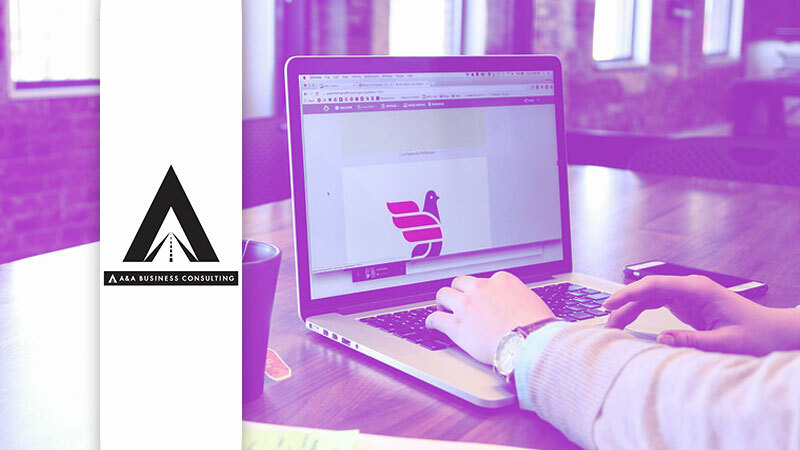 So, we let the association of A&A reflect in our name, A&A Marcom Agency (AAMA). We create an effective brand presence encompassing all communication areas: identifying right target group, creating sales pitches, product presentation, packaging solutions, establishing online presence, entrepreneur branding, marketing collateral, to name just a few. However, right at the start, we seek clarity from the business whether they want to go for company branding or products/services branding, because the two are as different as chalk & cheese. Once the decision on that is taken by the entrepreneur, we take over. Our brand consulting solutions are delivered by a team of experts who have worked with reputed brands in MNCs and small businesses alike. Whatever the client’s budget, we utilize the same to generate maximum brand traction. Great brands are found at the intersection of deep consumer insights and technological innovation. This is where AAMA stands out as an agency. Brand experts, market researchers and technology doyens work together on the client’s business to create a compelling story. We use industry leading tools, computing platforms and cloud procurement models like Saas, Paas and Iaas to drive key client messages to its intended stakeholders. It is our technological capabilities that facilitates a client’s business travel far and wide and generate online currency. Powerful content is always grounded in research. This is the point of departure for us when we set out to write content. That’s why when we write, we think business and not content. With an immersive, cut & dried and business-first approach, every content piece advances the client’s key message. We believe the best content writers are those who invest in understanding a client’s business and not in wordplay. Design is so much more than illustrating concepts and creating layouts and wireframes. Traditional agencies look at every design challenge in the ‘problem à solution’ binary. We go a step back to create an ‘understanding à problem à solution’ paradigm which helps us visually tell and retell client stories reflecting the core of the business. We don’t want to cloud your understanding by calling it design thinking. We will simply put it as – ‘our designs solve business problems and not window dressing fake brand promises’. Advertising a business is no longer an expensive affair. Social Media gives a business the option to reach out to as many people as it would want, at a minimum cost. Moreover, it is targeted, more humane can be homogenized and lends itself to analysis and measurement. It facilitates two-way communication where a business can constantly interact with the target audience. We have the best social media experts working with us. Explore our social media management consulting. Audiovisual is the most powerful business communication medium. The media consumption pattern over the last decade has changed so drastically that people across age groups are increasingly taking to the AV medium to digest content. This reinforces the importance of creating powerful AVs to promote a business. However, AVs are also vulnerable to quick rejection by audience if the quality is not up to the mark. Moreover, business AVs are tricky. Not everyone can strike a balance between entertainment and business sense. That’s why AAMA has gathered a team of brand experts, finest cinematographers and directors with great emotional & aesthetic sensibilities, who can create cutting edge films highlighting the business message in the most entertaining manner. AAMA is a part of the A&A Business Consulting – India’s only consulting company that exclusively focuses on Small and Medium Enterprises. A&A has been serving SMEs since 2009. Foraying into Marcom Consulting was a natural extension of what we were already doing. Scores of existing consulting clients reached out to us to provide marketing related services. That’s how we got into this business. Today, we are already serving more than 100 clients and the estimated revenue generated from the Marcom business is 55 Cr+. We have a team of 75 professionals with offices spread across seven states. Corporate and SMEs are not cut from the same cloth. In other words, the challenges of SMEs are very different from that of other industries. Their challenges are local, more urgent and to provide solutions one needs a deeper understanding of the SME space and an ability to think on one’s feet. That’s where we excel. Our deep insights gathered over a decade of experience serving SMEs is unparalleled. No agency – small or big can serve SMEs the way we do. For us, marketing, content, design – all serve a business purpose as opposed to a communication purpose. Marcom is not a stand-alone department that assists clients with their design or creative requirements. We solve business problems. Communication is our mode or vehicle to achieve clients’ business objectives. This is how we have evolved. We have a rather philosophical approach towards social media. Facebook, hi5, Twitter, WhatsApp, Snapchat and what not; are all agencies of competing modernism. New aesthetic topples the old within the blink of an eye. It’s so fast-changing, rapidly evolving and unforgiving that one cannot afford to be not transparent. The medium itself is fleeting and goalposts are shifting. We understand this. So we consider our work a social responsibility because we know what we say on our social platforms or what others say using our social platforms will have an overarching impact on the society. We will be credited for the good and punished for the bad. To keep up with the ever-changing social media trends. To be in line with the prevalent contemporary social media lingo. To capitalize on the trending topics by relevantly using them for marketing, whenever possible. In social media marketing, one cannot expect results instantly. It is to be carried out in a gradual manner, with a lot of research. Continuous monitoring is needed to keep the online marketing on the right track, and overnight success happens only if a post or campaign goes viral, which is a very rare and inscrutable phenomenon. Moreover, everything that becomes viral need not be of good quality or serves a business’s objective. An overseas client wanted us to come up with a campaign for Care Day on February 15. He explained to us what Care Day is. We came up with a campaign that the client absolutely loved. But upon further research on the Care Day observance, we discovered that it was actually about kids’ Day Care and not health-related care that the client briefed to us. We informed the client about it on a video call, and we all had a hearty laugh. Hills & Dales, Savvoy, Ecorex, Urban Daily, Learn By Fun, and many more. We essentially believe that no one can preempt the future industry directives in social media. It’s forever in a state of flux. Still, it’s fun to try. Social Media is both a boon and a bane. Just like how demography can be both a dividend and a liability. It’s up to people how they use it. In the age of electronic reproduction, social media will be the definitive apparatus to decide the socio-economic and political fabric of every nation. All we can say is Social Media is going to get bigger, better and more powerful in times to come. How we manage or use this shapeshifting apparatus will decide how the world at large benefits from it. A day without internet is rare for us as we cannot afford to upset a client who is expecting a deliverable on that day. Still, if one such day comes in our lives, we use that time for brainstorming, to reflect on our work and how we can do better. But more importantly, we use that time to live our lives.